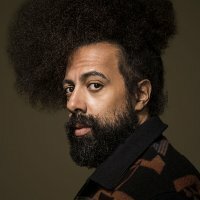 If you like music (too bad to find yourself here, if you didn't...), comedy and spoken word, well look no more: the Soho theatre has got the perfect combo for you in American multidisciplinary performer, Reggie Watts, who will take on a two-week residency at the venue, from July 27th to August 8th. Watts's routine incorporates hip-hop, trip-hop, alternative, nu-metal and classical opera, guided by his ten-octave vocal range and informed by dry social commentary on ancient culture, racism and pop culture, among other matters. You be the judge of that- tickets cost £10, £15 or £17.50, depending on dates. Concessions apply.